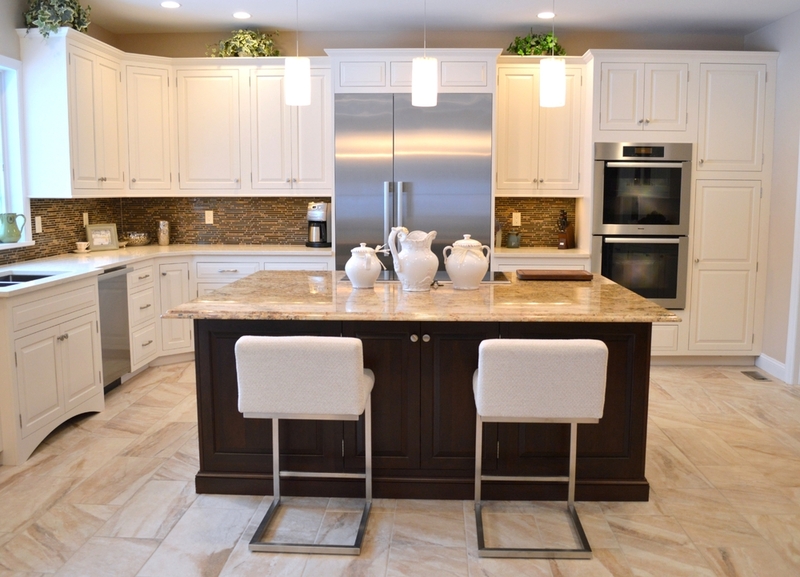 Ackley Cabinet LLC specializes in an advanced approach to kitchen remodeling that provides a hassle-free way to transform your existing cabinets. While cabinet resurfacing isn’t a new concept, our exclusive Forefront™ Cabinet Remodeling system is a superior method to standard kitchen refacing that delivers the high end features of new custom cabinets. By utilizing solid wood doors and new custom designed face frames, we can transform your existing cabinets with our unique reframing process. We also install custom components and kitchen storage options to give you the kitchen of your dreams without the mess and expense. Our signature process seamlessly blends the convenience of refacing and the options of new custom cabinets. Many years of experience have led us to develop and refine our Forefront™ cabinet remodeling system. This process bridges the gap between kitchen cabinet refacing and the huge hassle and expense of totally gutting your kitchen. We have found that while many people want to update their kitchen, they also want to avoid ripping out their existing cabinetry, and optionally save their counter-tops and flooring. While standard cabinet refacing offers convenience and savings, it falls short of the options and quality materials offered by custom cabinets. Following our customers’ demands for a convenient and custom look has led us to develop our exclusive process. We can also install convenient storage solutions to help organize your cabinets. All your old doors, drawers, hardware and outdated accessories are removed. All the exposed cabinet surfaces, including the cabinet ends, are matched to your new door style with solid wood pieces custom built in the USA. Then, we modify and build cabinetry as needed to make sure the kitchen layout is perfect for you.